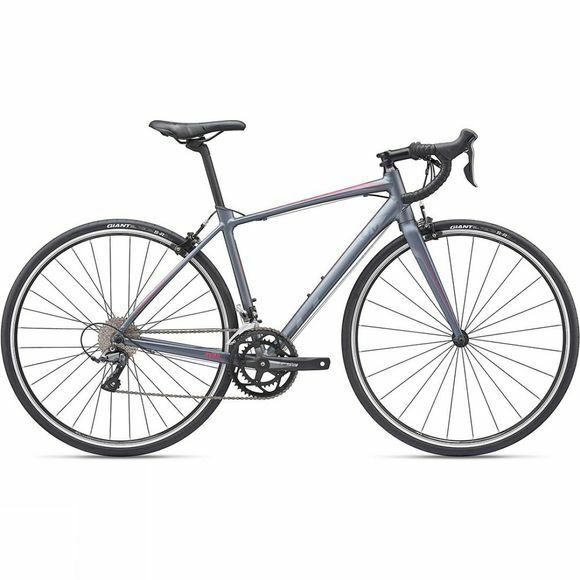 The Avail 2 2019 is Liv's endurance road bike created to be light and comfortable. This bike is ideal for aspiring riders who want to cover miles with ease without having to break the bank. A well-balanced women’s-specific design creates a bike with stability across the bends in the road, efficient power transfer and ultimate comfort, even on longer rides. Liv's “D” shaped composite seatpost dampens vibration which results in a smooth, compliant ride. This lightweight machine is acts as an extension of your body, intuitively moving with you, and comes ready for even the longest days on the road. This bike is comfortable for the long haul, lively on the climbs, and confident on the descents, this versatile endurance road bike will help you improve your riding style. The Avail features the latest endurance frame geometry and an Advanced-grade composite fork with the OverDrive steerer, for precision steering and to keep you fresh for more miles. The PowerCore bottom bracket transfers power directly from each pedal stroke into the road for superb pedalling efficiency. Shimano Claris components paired with some powerful Tektro calliper brakes, which are both excellent value for money, make sure that shifting is crisp and versatile. To top it off, it features elegant, modern finishes, so you can stay in the lead with style. Not The Bike For You? We have a wide range of road bikes available for all experience levels from a vast range of different brands. Still stuck? Call one of customer service experts on 0800 298 8898 or talk to us in the chat. Ensure your bike is kitted out for your next journey.